We have served our country, and now we’re serving you. In addition to our work for our customers, we focus our efforts on supporting members of the community and Veterans. 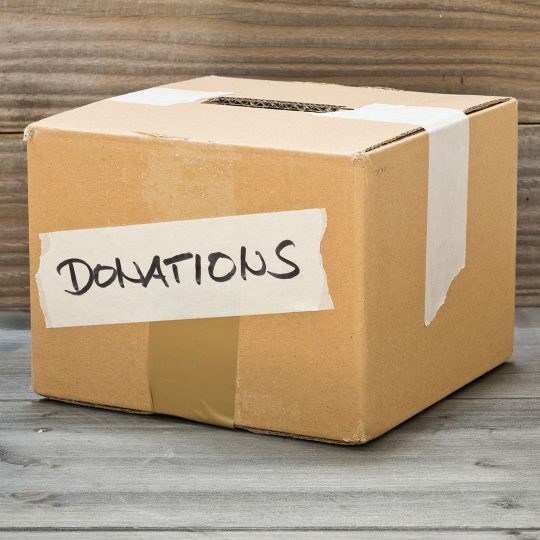 At JDog Junk Removal & Hauling we serve the community by donating items to local charities. We help you get your unwanted items in your home or business into the hands of people who could use them. We will donate them to the charity of your choice. Or, we will choose one of our partner Veteran, children or family charities. We do this to serve the community and as a way to protect the environment. 60-80% of the items we haul away are kept out of the landfill. We have the privilege of offering job opportunities to the men and women who served our country. We find Veterans live by JDog’s values of Respect, Integrity, and Trust—the same ones required by the military. If you or someone you know would like to join our team of hardworking individuals, please apply today. We created the JDog Foundation as another way to support the men and women who served our country. Our mission is to provide leadership, support, awareness, and funding to Veteran Organizations that are charged with rebuilding or repairing homes and lives for our Veterans. You can contribute to our mission by donating here. Find out more about us, charitable donations, and the junk we remove.